I was able to get a hold of some great stuff from Berg & Berg's SS/13 collection, and will be introducing them in detail during next week. 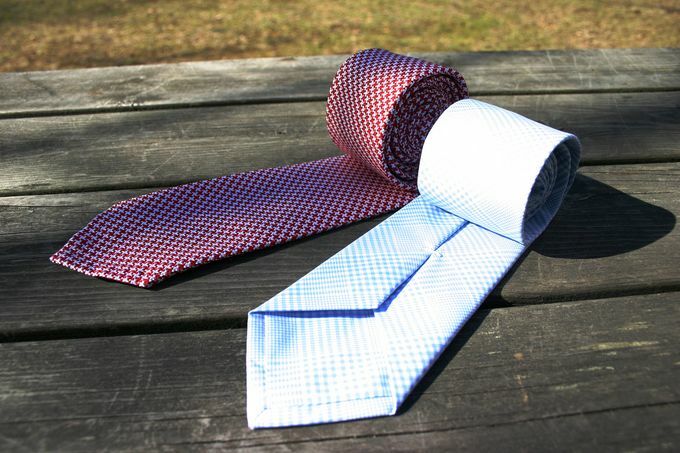 First up however, two of the regular ties that I found the most interesting and fit for my style from the collection. The blue one is one of the design that combines a a pretty ideal width of 7.5 cm and chic summer weight cotton with a classic Prince of Wales pattern, making it a good friend to almost any kind of summer combination. I am personally looking forward to wearing it with a navy jacket, white shirt, cream chinos and brown tassel loafers. The red one is an untipped silk tie in 8 cm width. 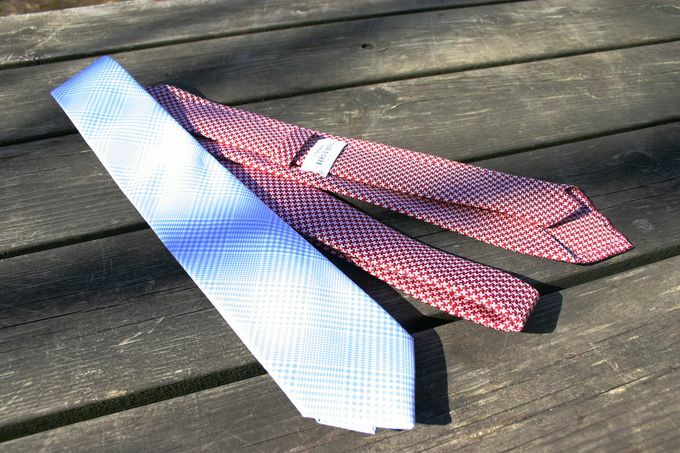 I have been missing a red summer tie (casual/semi formal) and picked this one to fill that hole in my wardrobe. I actually wore this one today, and have to say it ties a wonderful knot. The silk is pretty much normal thickness to this kind of woven silk ties, but the construction is rather light (lighter than in my previous woven Berg & Berg ties I would say). I'll post the look with the action shots in a few days. There. Overall I find this collection more interesting than last year's, and some designs are especially good-looking and versatile. On the other hand, some are maybe a bit too drastic to my style, but I suppose a larger than normal audience will find suitable items from this collection. And that's definitely not a bad thing, as I can only hope the best success to any Nordic company pushing the Nordic countries to the menswear map.